Congratulations to Mr. Tom Durant on his recent purchase of Red River Auto Group in Denison, Texas. The auto group features three beautiful and state of the art facilities side by side offering the Toyota, Honda and Nissan franchises. 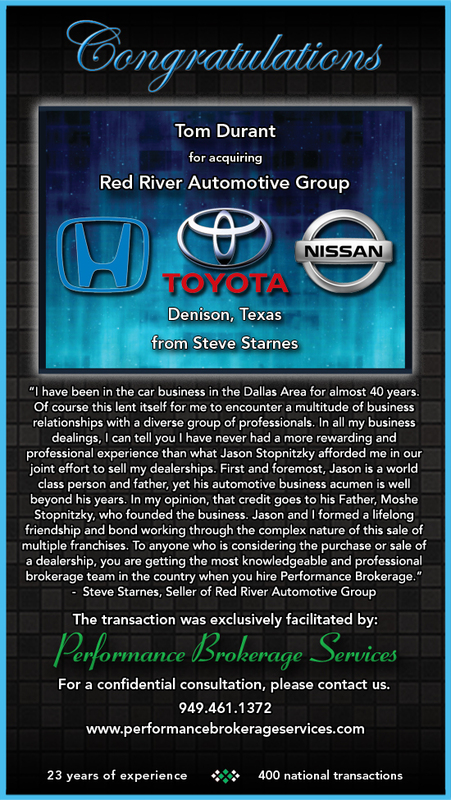 We wish to thank our dear friend Steve Starnes for the opportunity to be of service and to represent him in the market place, and wish Tom Durant success with his acquisition.